Forrest Pritchard. Growing tomorrow: A Farm-to-Table Journey in Photos and Recipes. The Experiment, 2015.
Who says that nobody is going into farming these days or that you can’t make a living growing foods organically and sustainably? Certainly not the 18 pioneers described in this lovely, inspiring book. 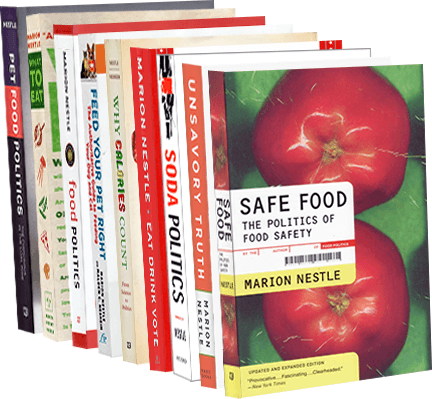 Forrest Pritchard chose farmers of diverse crops—mushrooms, honey, lobsters, avocados, grain, beef, and more—and tells the personal stories of how they created lives of deep productivity and satisfaction. 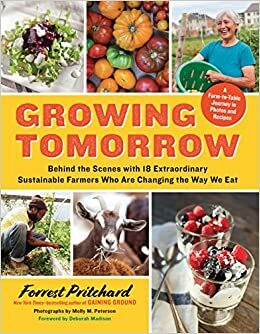 Any aspiring farmer or consumer of freshly farmed products will get great pleasure from reading this book and admiring its photos.